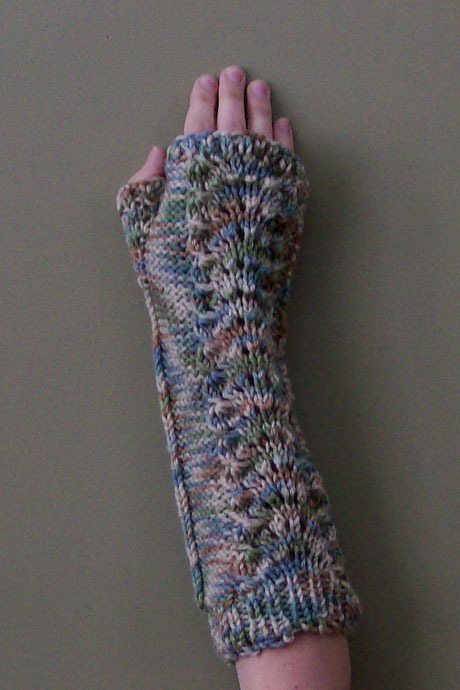 The gauntlets are great for keeping your hands and arms warm , while leaving your fingers free . These are for all ages and gender. Lace knit gauntlets made from 100% acrylic.